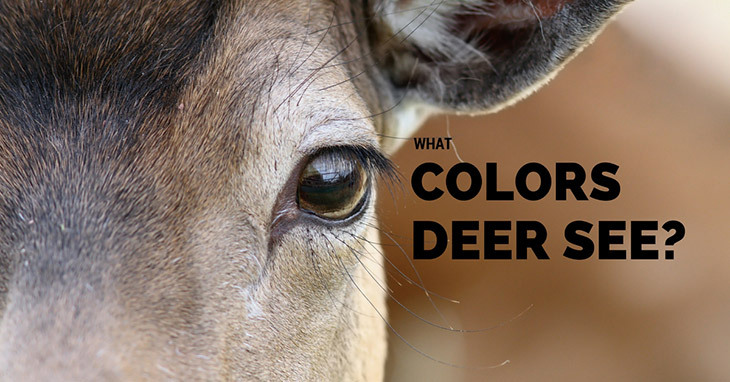 →What Colors Can Deer See? When Can Deer See More Clearly? I’ve heard many people say that deer are color blind and that the color of your clothes doesn’t really affect the success of your hunt all that much. But I’ve learned from personal experience that deer tend to shy away from blue or yellow garments more than they do from red or orange ones. So what colors can deer see? When can they see more clearly? Today, we’ll answer both questions and learn more about deer’s behaviors. What Colors Can Deer See? Contrary to what many hunters and non-hunters may believe, deer can see color—just not in the way that humans do. Many scientific studies, including one done by the University of Georgia a few years ago, concluded that deer can see blue, green, and yellow colors but cannot register red and orange hues. Instead of being completely color blind (that is, seeing everything in shades of black, gray, and white), deer are actually red-green color blind (that is, they cannot distinguish green or blue from red). This is because deer are dichromats, or they have two color receptors in their eyes and thus can only see blue and green/yellow wavelengths. When Can Deer See More Clearly? The University of Georgia also found that deer have more rod cells in their eyes compared to humans, at an estimated ratio of 20 to 1. These rod cells allow the deer’s eyes to see well in low light, which helps them see predators and dangers lurking in the night. 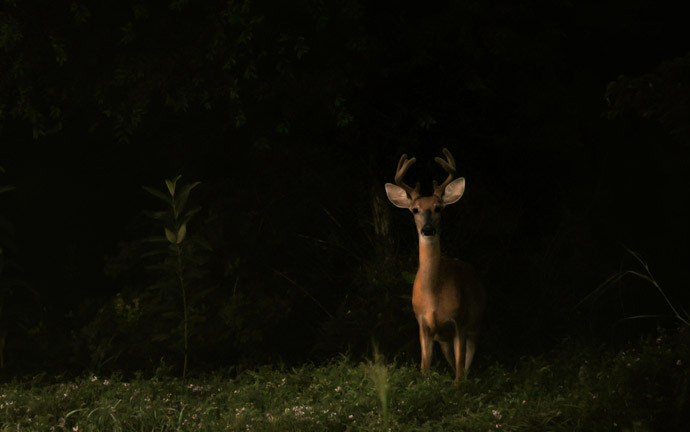 Because they see better in low light, deer tend to be more active at dawn and dusk. On the flipside, because deer cannot see warm colors that well, they may be more careful when venturing out during daylight hours. Came down out of an open top blind a few years ago, because I hadn’t seen any deer and thought I heard some turkeys. Was wearing a red and black checkered flannel shirt and orange camo ball cap. Heard a noise and a doe came out from behind some bushes about 30 yards away, closely followed by an amorous buck. I froze and she looked right at me. They disappeared behind some bushes and when they came back out I shot the buck right off her back. At least he died happy. I always wondered if the doe couldn’t see me or was distracted by the buck. Your article clarified the issue. I’m glad that my article helped you. Thanks for your reply! Top Tips on How to Scout for Deer – Check Them Out Now! How Do Deer Survive the Winter? Here are the Top 5 Reasons Why!